Another excellent day on the road if somewhat wet! The route continues to look good and campsites and village halls are being visited. Decisions on which to use will be made once the bigger picture emerges. 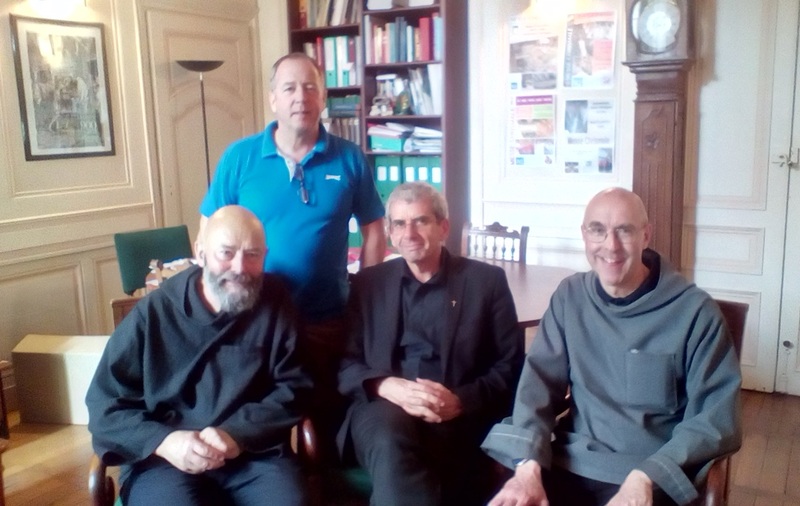 A visit to the Vicar General of Burgundy, Eric Millot proved very productive and all pilgrimage activities in the province have been given the go ahead. The Gendarmerie are also being kept in the loop at every stage. 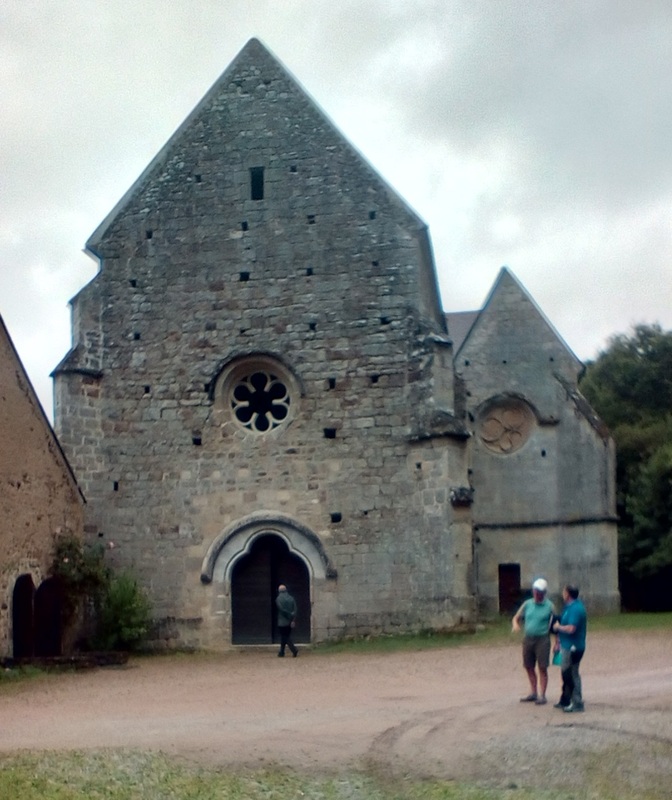 The party yesterday visited the Priory Val-Saint-Benoit, former Caulite priory and one of the stops on the Pilgrimage, and took time for a bite of lunch in the park. Tonight they move the overnight location to Abbaye Sainte Marie de la Pierre-qui-Vire, St Leger Vauban. 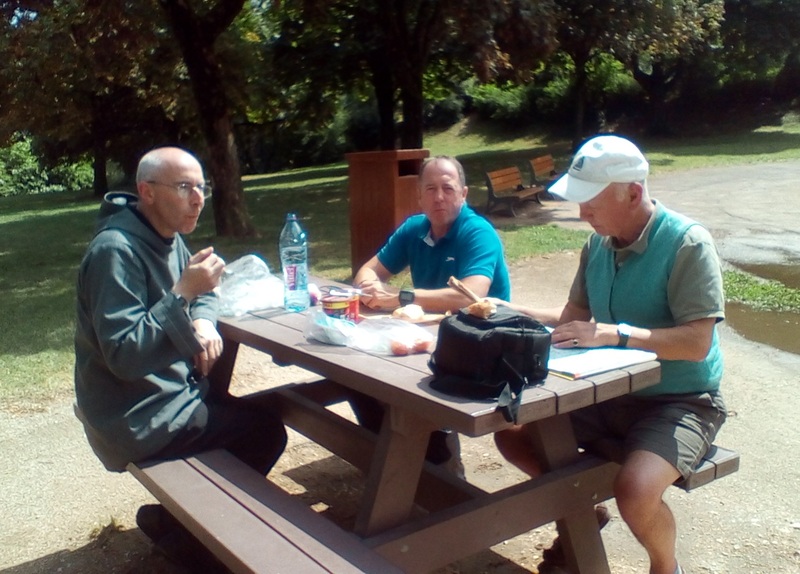 The pictures show: Father Giles and Brother Michael with Mr Millot; the Priory of Val-Saint-Benoit; well-earned lunch in the park.